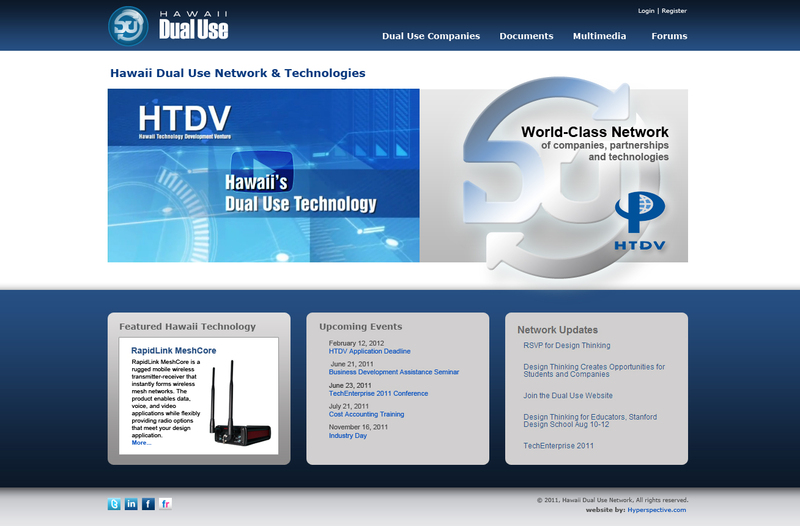 HTDV needed a way to support marketing and promotion of its partner companies within an industry that focused on technological research and development for the government, while developing commercialized products. This required an integrated approach and the combination of companies under one umbrella brand. Through discovery we found that the organization and all of its member companies would benefit from a recognizable brand that clearly communicated the purpose and outcomes of this industry sector. We created the “Dual Use Industry” brand and developed key components including logo design, website development and web design of an online collaborative network, branding package, videos, collateral materials, social media set-up, tradeshow display, membership badges, and more. Stakeholders were able to use the network to collaborate and develop products through new partnerships. Individual companies strengthened their brand in order to gain larger contracts and government funding during the course of the campaign.